According to this Japanese magazine scan (via Twitter user kazu4281), there's a new Dynasty Warriors (aka Shin Sangoku Musou). It's Shin Sangoku Musou 7 in Japan, which would be, because of the discrepancy in numbering, Dynasty Warriors 8 in the West. 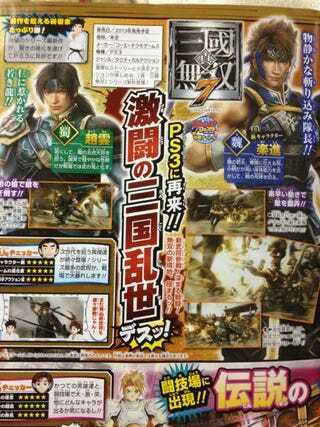 Shin Sangoku Musou 7 will be out next year in Japan.